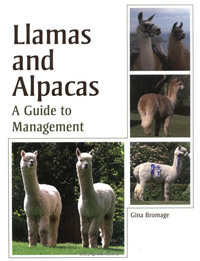 This new book is by far the best available for people starting out with Alpacas. It is written by one of the most experienced vets in the UK, who also has many years' experience in building up her own herd. Oh - and did I mention - it's one of the cheapest books available on the subject? 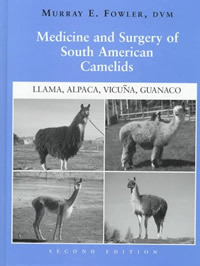 The "Blue Bible" for the care and management of Camelids, covering every possible problem comprehensively and in depth. Medical conditions and treatments covered in particular detail, but also breeding, nutrition and conformation problems too. Every vet should have one - but if your local practice hasn't invested in a copy, then show him yours! It could save your Alpacas life. The bad news is - it's VERY expensive . . .